With much of Europe experiencing one of the mildest Novembers on record, and certain small portions of it being treated to the very extreme of weather conditions, the winter sports season gets underway once again and as the usual crowd in the 2018 Ski Jumping World Cup bets on their sport managing to survive increasing marginalization and a lack of snow you can wager on these dim daredevils at sites like Unibet, one of the best online betting sites in Poland today. It’s 18 degrees in Wisla, Poland, today which means the FIS organizing the 2018 Ski Jumping World Cup bets that by the time the first event kicks off in a week’s time it’ll be a lot cooler. It’ll be hard to attract the cowbell ringing snow-freak crowd when it’s warm enough to wear a t-shirt as you watch lycra-clad loonies throw themselves off artificial mountains, there just won’t be the same atmosphere. Après Ski is hard to replicate when it’s warm enough to have a garden party. The arguments about man-made climate change rumble on twixt those with some perspective and those making money from the status quo but it’ll be hard to convince people in Venice, Sardinia or Belluno that something isn’t amiss. Bookies like Unibet Sportsbook might offer 2018 Ski Jumping World Cup bets to one and all, but for how much longer will they do so? How soon before those who like to bet on sports in Poland won’t be able to back their favorite lemming impersonator? Are Winter Sports Going Off-Piste? As a “winter sport” ski jumping is already quite niche and getting more so year on year. A concentration of sponsorship and financing has slowly eroded a widespread public interest, the Winter Olympics now an expensive white elephant no one is keen to host. Popularity in so few countries from so few people is economically unsustainable and with climate change on top those 2018 Ski Jumping World Cup bets could be some of the last ever offered by sites akin to Unibet Sportsbook. In the meantime, for those who insist on taking advantage of Polish gambling laws to wager on these intensely similar young men hurling themselves into the void, Unibet Sportsbook is offering a rather nice set of 2018 Ski Jumping World Cup bets for that event in Wisla with local boy Kamil Stoch heading the field at 4/7 with Austrian Stefan Kraft back at 6/1, Robert Johansson from Norway on an unusually distant 10/1 and Richard Freitag and Daniel Andre Tande sharing an 11/1 price. 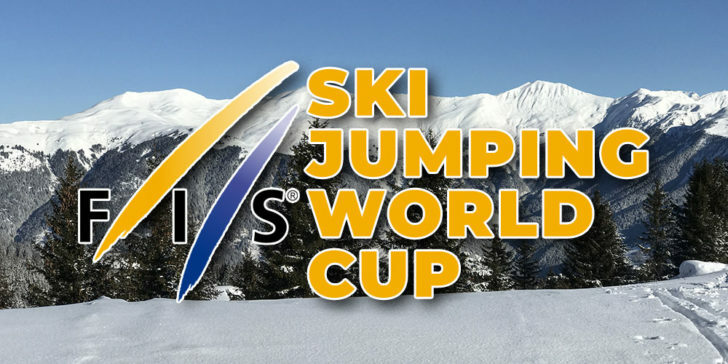 Perhaps it’s the conditions, or the fact only locals are going to turn up to watch, that gives Kamil Stoch the edge, but whichever in the odds he’s head and shoulders above the competition and possibly the best of the 2018 Ski Jumping World Cup bets on offer at sites like Unibet Sportsbook right now, although that 11/1 Freitag is getting tempts hugely, the German more than capable of leveraging his experience to gain an advantage over those thrown off by little things like the temperature. Naturally if you’re Polish gambling news reports will be of Kamil Stoch winning you’re the sort of optimist that probably believes technology will eventually rescue the world from the effects of rampant climate change and, at those 4/7 odds on Unibet Sportsbook, you will doubtless be tempted into some 2018 Ski Jumping World Cup bets to back him, however a lot of the smart money is going to be on Kraft and at 6/1 he’s probably the more sensible wager whatever the weather may be. Which Winter Olympics Wagers Will Be Winners?